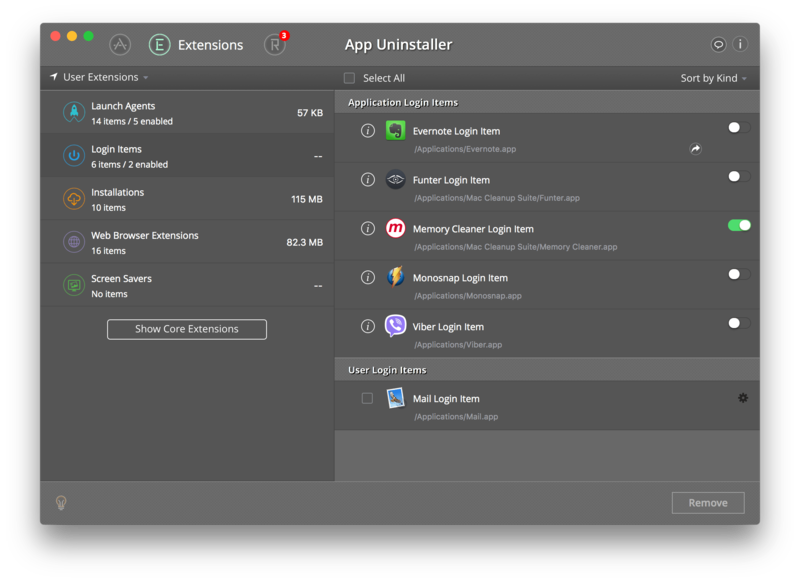 App Uninstaller scans Extensions in user and system folders right after being started and finds 8 types of extensions. Launch Agents – hidden or background programs that run on user login or system startup. 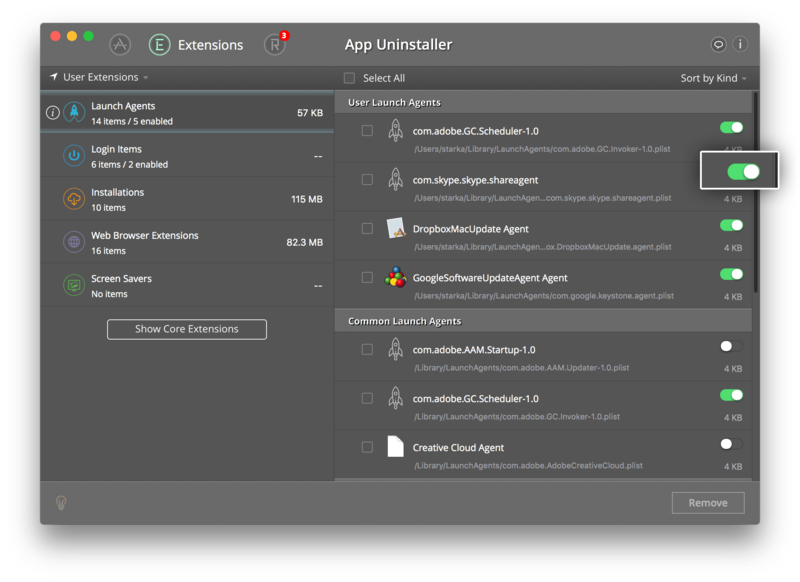 App Uninstaller displays agents that are stored in the current user and system folders. You can disable the agents’ autolaunch or delete the launch agents from the disk. Installations – files that are used to set up programs. There is a list of installation files stored on the Startup Disk. You can remove unneeded files to clean up disk space. Web Browser Extensions – plugins that extend your browser with additional services and modify web pages. Screen Savers – programs that fill the screen when the computer is not in use. App Uninstaller displays installed screen savers and allows you to remove them. Preference Panes – special dynamically loaded plugins to customize working of some installed services or applications. The app displays installed Preference Panes and allows you to remove them completely with their service files. Internet Plugins – program components that add specific features for Internet browsing. Please be careful when you remove system plugins because it may harm the working of the system. Widgets – simple and easy-to-use programs launched by the Dashboard app. Please be careful when you remove core widgets because they do not operate independently but can only be installed with the system. Extensions help you to customize apps or browsers on your Mac. However, having too many of them may cause your Mac to slow down. Furthermore, some extensions may have been installed automatically, so you don’t need them. 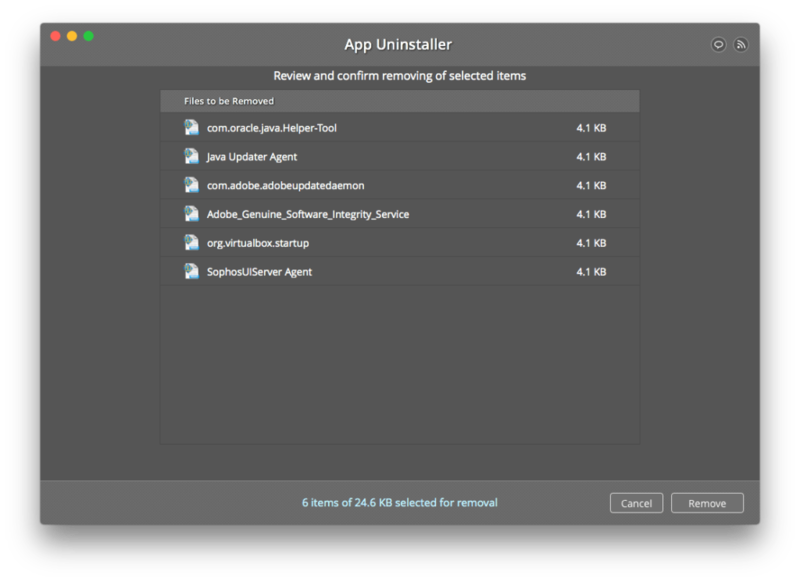 With App Uninstaller you can get rid of all useless extensions in just a few clicks. 2. Choose the unused extension items and click Remove. The additions will be removed completely. 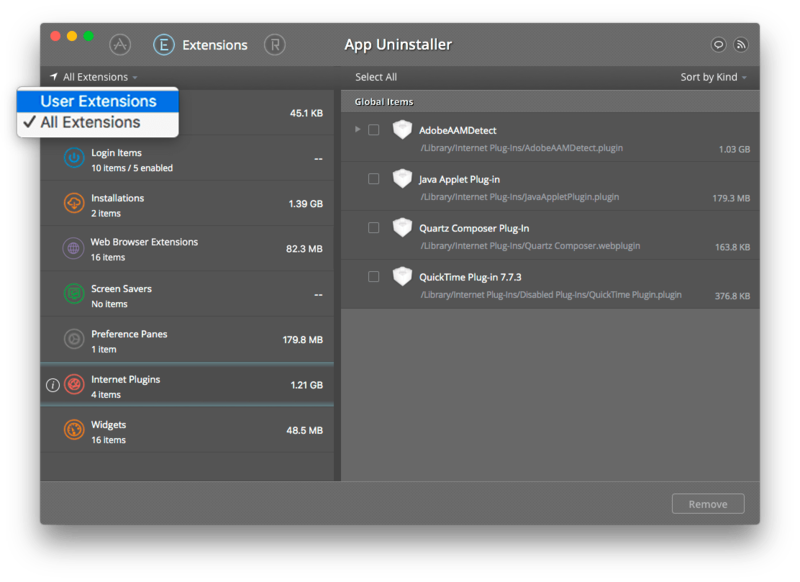 App Uninstaller also allows you to disable extensions. To detach the extension from the system click the “Disable” or “Show” category next to the item. Note: Please be careful – the removal of core extensions may damage your system. To turn off the visibility of core extensions, click “User Extensions” from the file type menu.